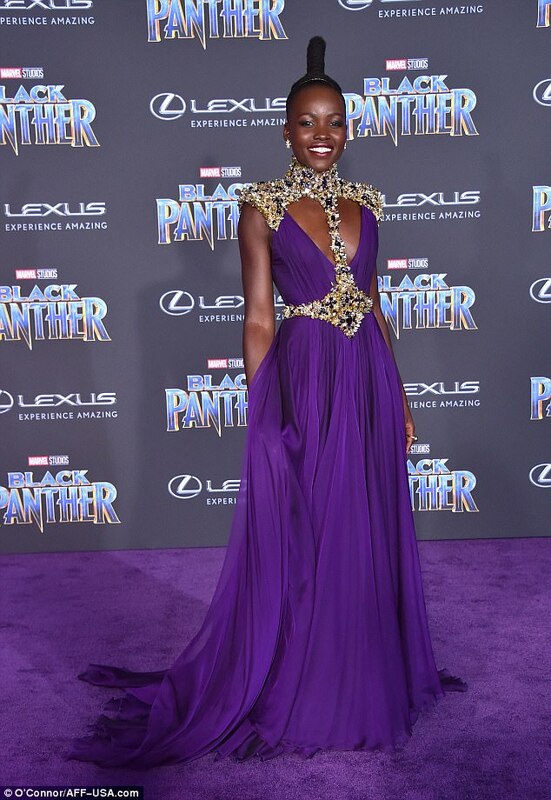 Academy Award Winning Actress Lupita Nyong’o looked regal in a purple Atelier Versace gown with a gold harness at the premiere of the “Black Panther” Movie last night in Hollywood. 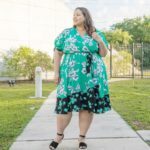 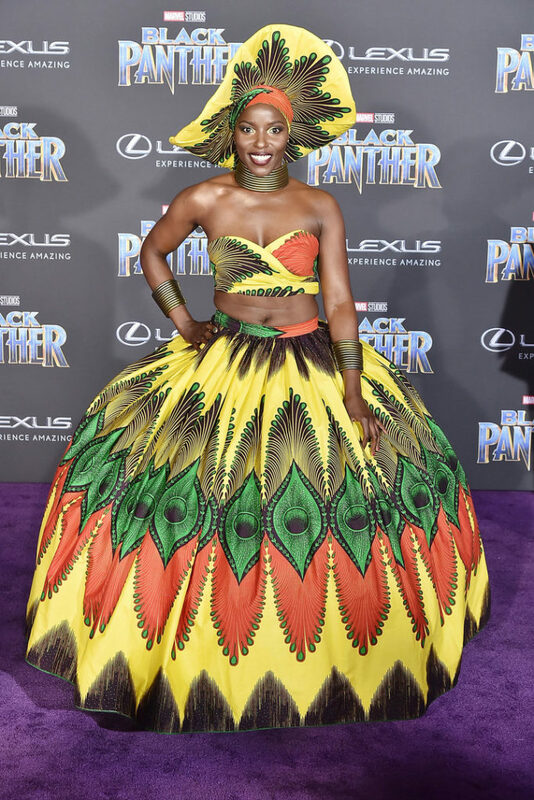 The dress code for the premiere said: “Royal attire requested” and of course she delivered. 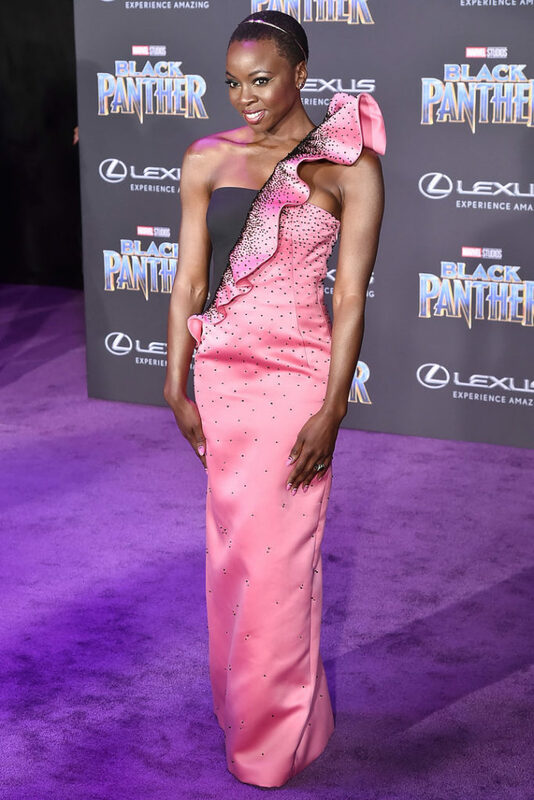 Lupita, 34, was not the only one that looked regal last night. 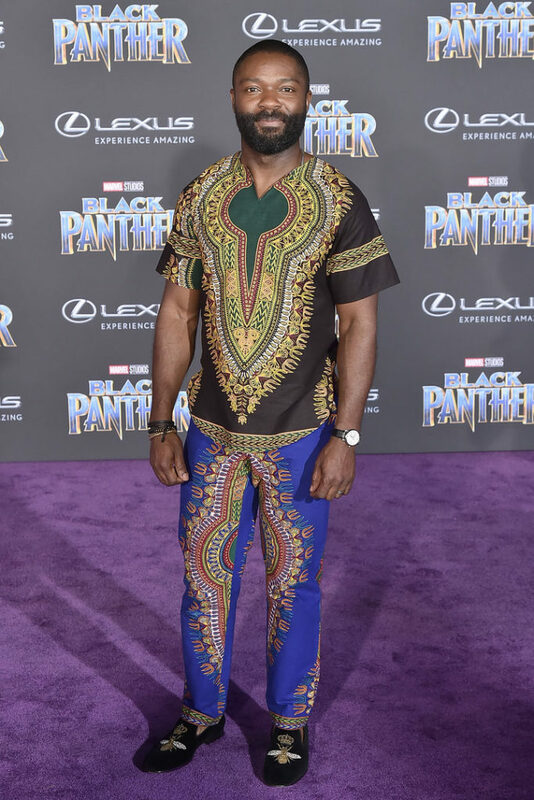 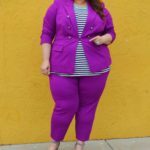 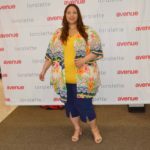 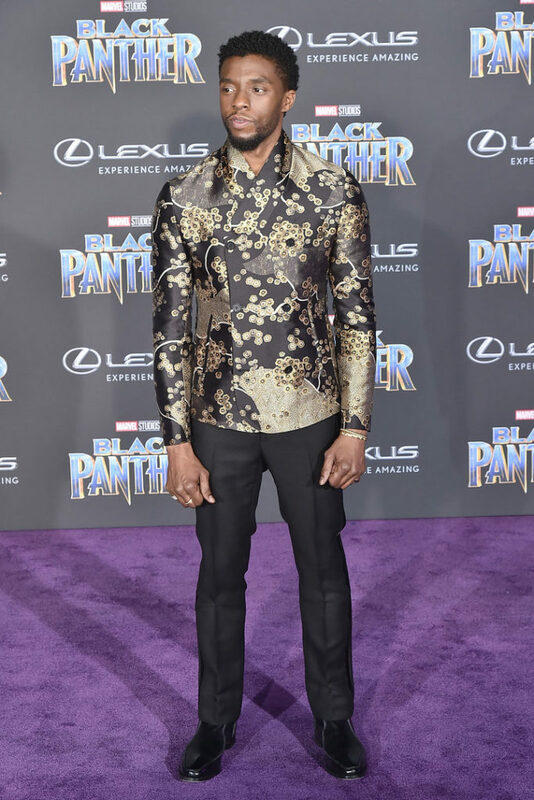 The purple carpet of The Dolby Theater was host to a parade of colorful outfits and African Prints. 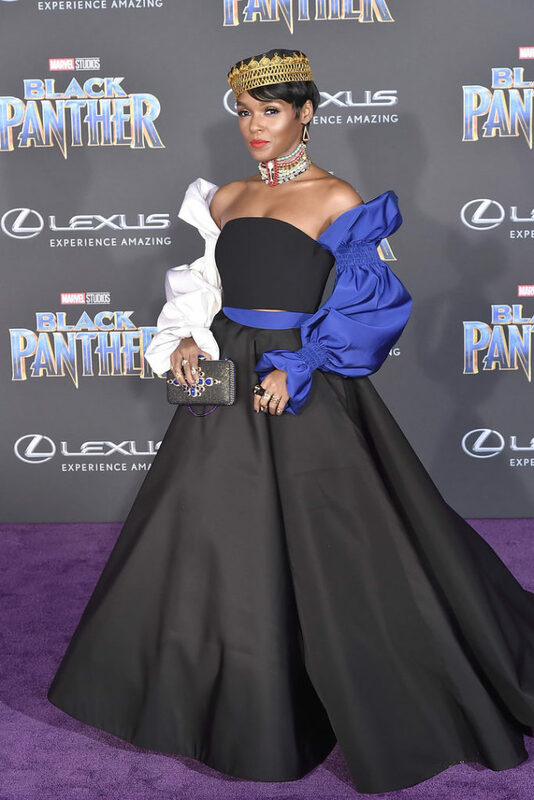 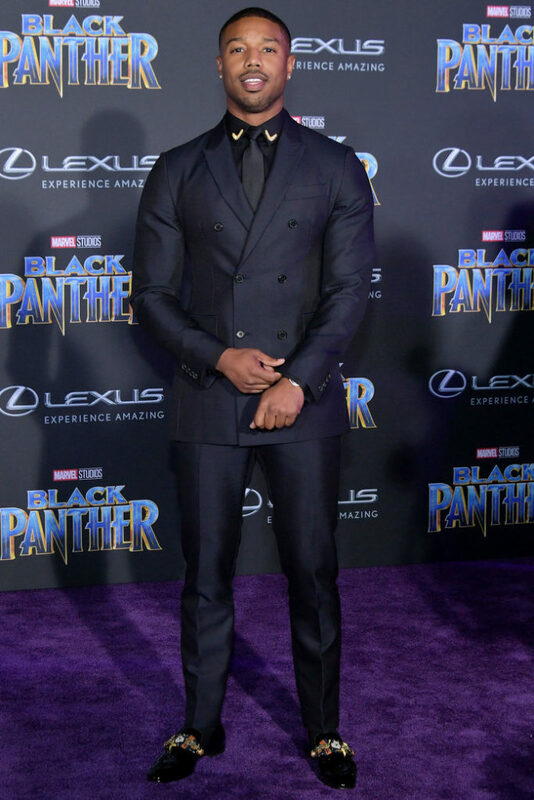 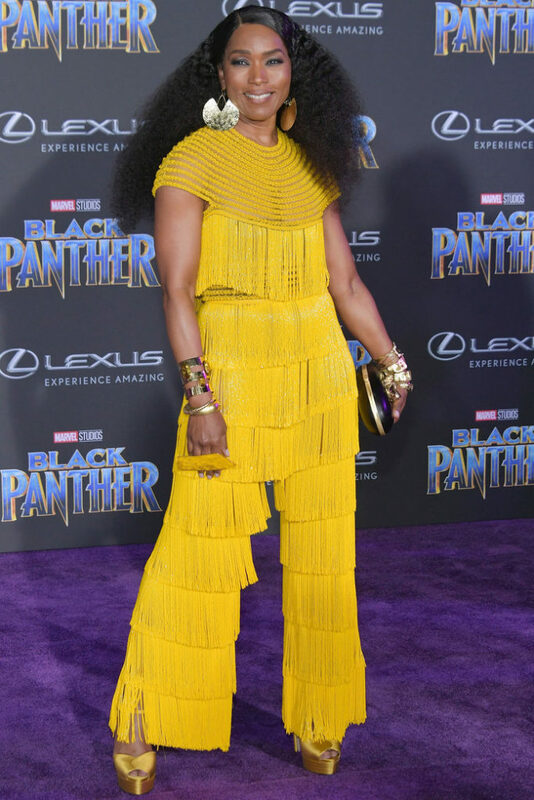 Check out some of the other celebrities in their regal outfits at the premiere in the pictures down below and go see the “Black Panther” Movie when it arrives in theaters on Feb. 16.